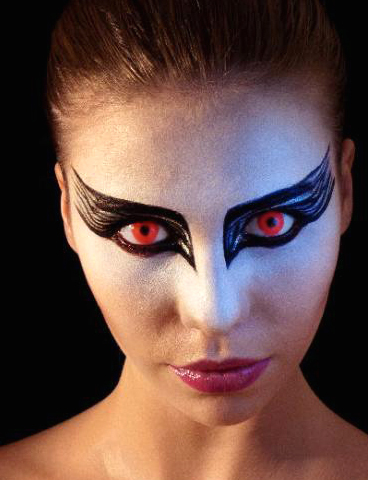 Toronto Circle Lenses: Halloween is Almost Here! Do you have your circle lenses yet? Whether you're planning on dressing up, or just dressing nice, circle lenses will add the finishing touch! Our brand name lenses will have you comfortable and stylish, rocking those big kawaii eyes all night long. We have so many styles to choose from that you're sure to find something to match your style. You'll need to order soon though, as it can take up to three weeks for your lenses to arrive! You get free tracking with every circle lens order though, so you'll know where your package is at all times. Properly soak your new lenses before trying them on for the first time. Lenses need to soak for at least four hours when you first get them. The solution they are stored in is not regular contact lens solution and could hurt your eyes! Be sure to try out your lenses before hand! You don't want to fail by having itchy/watery red eyes at the big Halloween party. Try wearing your lenses around the house for at least four hours a few days before the event. Always have your contact lens kit with you. When wearing any contact lenses, you should always have a kit containing lens solution, lens case, and eye drops. Never wear your Circle Lenses for more than 6-8 hours at a time. 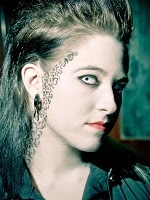 Circle lenses, and some regular coloured contacts should not be worn for more than 8 hours at once. The larger surface covering your iris blocks oxygen from reaching your eye which causes irritation and redness. To combat eye fatigue, be sure to have good quality eye drops with you that are specifically for contact lens wearers. Regular use will keep your eyes hydrated so they look and feel their best! Now that you're ready, have a look at our Order Form or check out our Shop page to see what we have ready to ship!